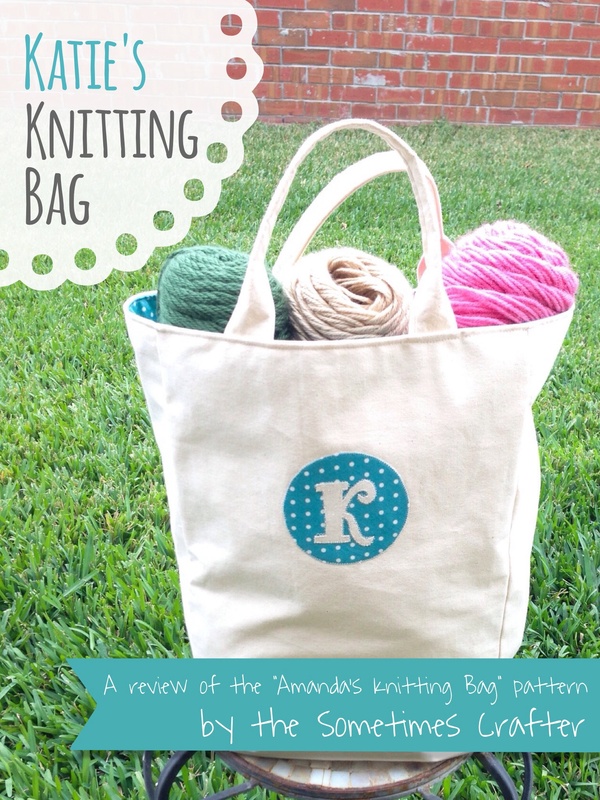 pattern review | Sew Lindsay, Sew! Let’s take a moment and go back in time, to the beginning of my sewing journey back in 2010. When I first decided to start this sewing adventure, I was enthralled with the idea of choosing my first pattern. I scoured all the patterns available from the “Big Four” (Simplicity, Vogue, Butterick, McCalls) trying to decide which pattern would make the cut. It’s important to note that this was before I learned how many freebies and tutorials the internet had to offer – nowadays, my advice to beginners is always DON’T USE COMMERCIAL PATTERNS when you’re a complete newbie – but alas, I chose a Big Four pattern because I just didn’t know any better. Tis the season for sewing gifts (“Let it sew, let it sew, let it sew”) and this year, the most adventurous pattern I tackled was the Zip and Go bag from Dog Under My Desk. I’d previously written about one of the free tutorials offered from the pattern maker, Erin, on the same site (see my post about earbuds zipper pouches) but I’ve always wanted to try one of her paid patterns. The pattern was worth every penny – loved it! 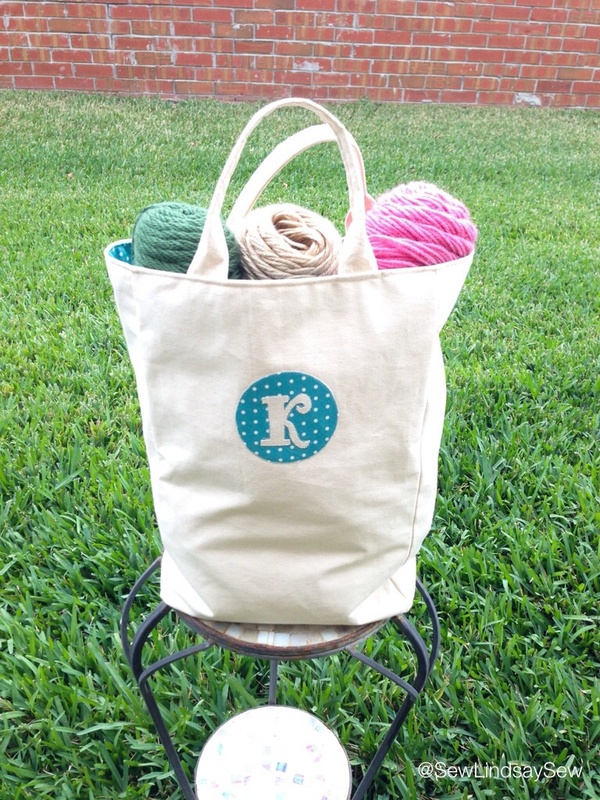 Remember when I made my roommate Katie this whimsical knitting bag for Christmas? I recently decided I wanted a bag of my own! I was keeping skeins of yarn in one of my favorite reusable grocery store “green bags,” and to be honest, I just wanted the bag back in my collection for grocery purposes. Some readers are reporting that it is available to purchase as a digital download here on Quilter’s Bug. Try searching etsy or eBay for a new or used copy. Contact Simplicity directly and let them know you’d like them to bring the pattern back. 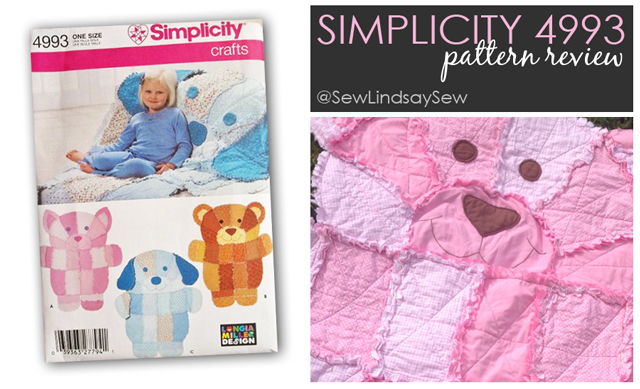 Check out some of the other rag quilt patterns available from Simplicity! This is a long overdue post to talk about a project that wrapped up a loooooong time ago! Based on my blog posts alone, you may think the mustaches and elephants quilt was my very first rag quilt. But … it wasn’t. My very first rag quilt was completed months and months prior to that when I tackled the now out-of-print Simplicity 4993. I’d had this pattern on my radar for a long time so when I discovered it was recently retired, I jumped on etsy and grabbed a brand new copy. I’ve lived with my roommate Katie for almost five years. She’s neat for lots of reasons. But one major common thread that brings us together is that she loves crafty things as much as I do! Okay, she’s not nearly as ridiculous as I am, but she has an appreciation for it all the same.